Barry Richards’ scoreboard, featuring the highest score by the Seddon first Xl, 368 against Newport East in 1985, and the Warne-like number of wickets taken by swing bowler William Joy, who played for Seddon in the 1950s, 1960s and 1970s. When Barry Richards started playing cricket for Seddon in 1986 the club’s scoreboard was a heavy sheet of black metal that players had to lug from the maintenance shed and lean up against a fence railing. It was a cumbersome task carrying the scoreboard out before the game. And then hauling it back into the shed at the end of a hot day. “It was a pain in the arse!” recalled Barry, while watching Seddon’s first XI playing its VTCA West B1 grand final against Altona Roosters. After about five years Barry, then skipper of the second XI, figured it was time to do something. So Barry, a carpenter, built a new scoreboard. At his workplace he found a sheet of MDF board measuring about two metres across and one metre high. He found some blue paint and some yellow paint, to approximately match the club colours. Fellow clubman Michael Penlidis, a signwriter, did the scoreboard lettering and made the plastic –coated numbers. Michael, an all-rounder, also has the honour of updating the club’s honour boards. 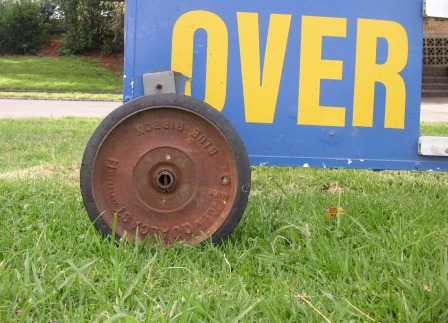 Barry’s scoreboard design took into account that while the scoreboard must face the players and the oval, the best cricket viewing position at Seddon’s picturesque oval is from inside the clubrooms – effectively from behind the scoreboard. 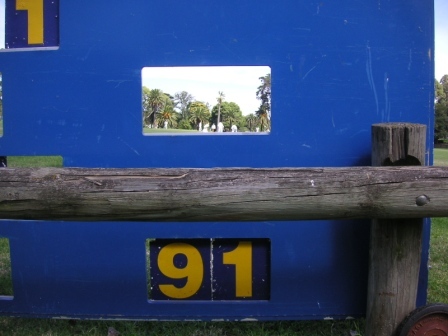 So he cut rectangular holes so that those in the clubrooms could read the score – albeit it backwards. The scoreboard’s been rolling in and out of the Seddon maintenance shed for about 20 seasons now and looks like it will see quite a few more. Barry is one of many veterans at the club. He played in three premierships in a row (1989/90, 2ndXI skipper; 1990/91, 2nd XI; 1991/92 , first XI). He’s keen to notch up his 300th wicket next season (he currently has 287). Over the years his role has changed from being a fast-medium bowler who could bat a bit down the order to an opening batsman who bowls very good off-spin. 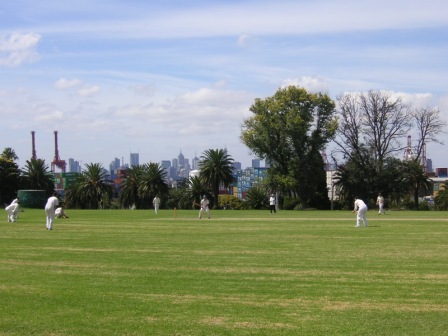 The Seddon Cricket Club, in Melbourne’s inner-west, was formed in 1924. It currently fields five senior teams and three junior teams. The club’s main grounds are part of Yarraville Gardens, a former quarry, not far from Melbourne’s ports and the Maribyrnong River. 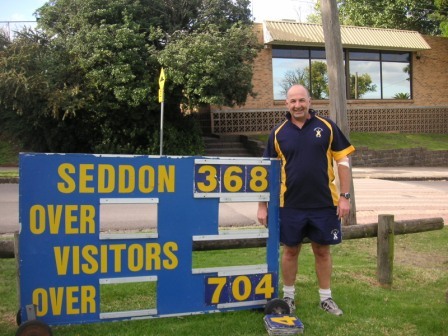 In 2011/12 Seddon’s first and second XI teams both played Altona Roosters in their grand finals and both won convincingly – the firsts by 10 wickets and the seconds by an innings. The victories brought Seddon’s senior teams’ premiership tally to 14 since 1960. (There are no records from 1924 to 1960.) The club’s Under 15 team were premiers this season as well, doubling the number of junior premierships.